When Nat Daniel made the first Danelectro back in the mid Fifties, could he have hand any clue that his trashy, low-end electric guitar would sound electric guitar would sound so great and play so majestically? 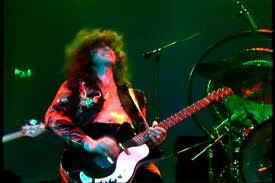 Could he have anticipated that these instruments would find their way into the hot, sweaty palms of Satan’s cabana boy, Jimmy Page, and numerous other future rock stars? Not likely. In truth, the late New Jersey guitar and amp maker—whose primary business was supplying guitars sold by Sears (under the “Silvertone” brand name) and Montgomery Ward (under the name “Airline”) and other chain stores—wasn’t a master luthier, but an entrepreneur looking to make a buck. He built’em cheap, sold’em cheap, and made ‘em available in a paint-box worth of colors. 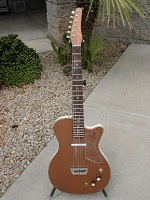 Danelectro’s market was anyone looking for a good, super-affordable electric guitar. Nat wasn’t aiming his U2 missile (the U2 was Danelectro’s original, two pickup guitar) at prospective buyers of expensive, high-quality instruments, but somehow, his piece o’ trash became bona fide rock and roll legend. Forty-something years later, the U2’s sonic magic is superbly replicated in its reissue incarnation, the 56-U2. Impressively, it’s a near-perfect recreation of the original, replete with a 3/8-inch masonite (that wood/cardboard hybrid that graced the rear panels of TVs, radios and phonographs in the Fifties and Sixties) top and backs that’s laminated onto the popular “skeleton”—essentially a hollow body. The guitar’s 24 ¾-inch neck is made of maple, with a rosewood fingerboard and an aluminum nut; it’s excellently fitted and polished with 21 medium-jumbo frets. Additionally, the 56-U2’s “Coke Bottle” headstock uses exact replicas of the original’s low-tech tuners. 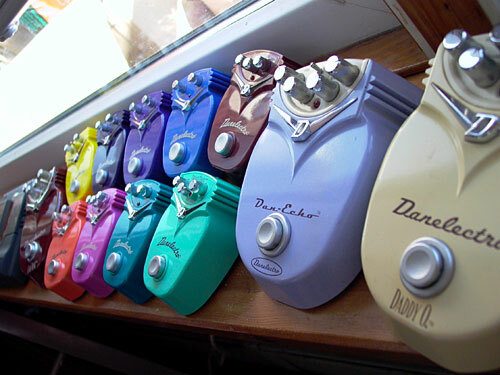 The new Danelectro Guitar Company went back to the drawing board numerous times to make things perfect, and just about everything here is identical to the original. This includes those beloved “lipstick tube” (so-named because the originals actually used surplus lipstick tubes) single-coil pickups; the stacked, concentric knobs (combining volume and tone onto one pot); the heavy-duty, industrial strength toggle switch; and an alloy bridge, with a splinter of wood serving saddle duty. 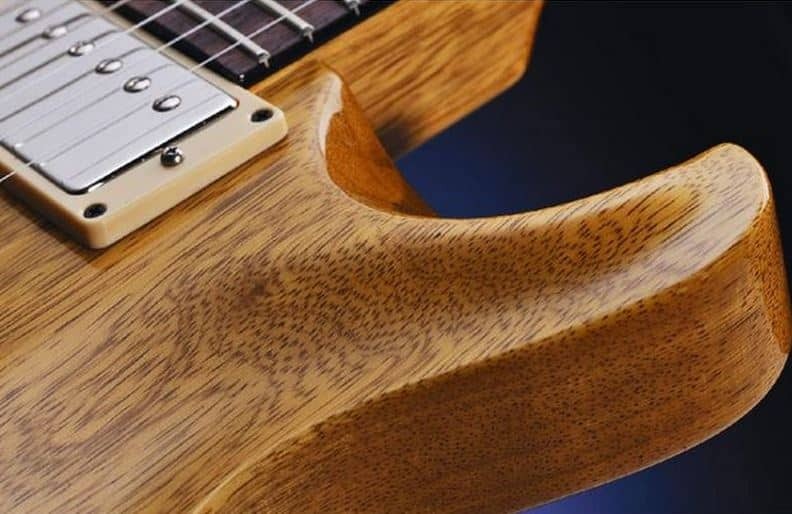 All of these details make up the charm of a budget-priced guitar that sounds pretty darn awesome. The 56-U2’s hollowness provides a buxom acoustic voice; amplified, it’s bright, trebly guitar with ample harmonic overtones that cut through a mix. You can’t really say that the U2 has a distinctive sound; it’s simply a great-sounding guitar that delivers jangle (using both pickups) and fatness (the typical front-pickup tone). The pickup kicks out a Strat-like output, but with more midrange. The playability on the 56-U2 is excellent. Props to Danelectro!